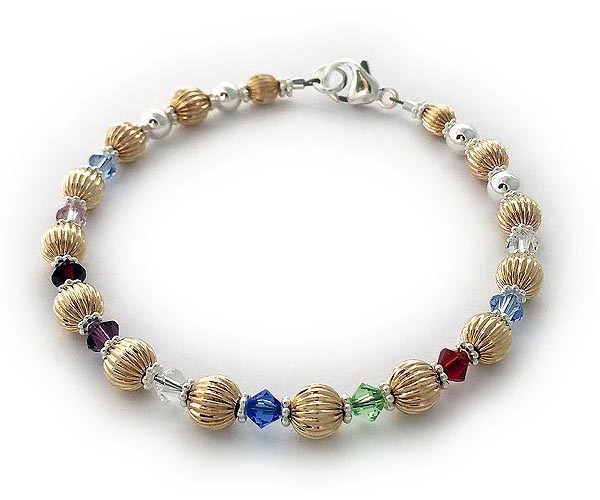 This Gold Birthstone Bracelet for Grandma is shown with GRANDMA on one string and added 7 birthstones on the second string: July or Ruby, November or Golden Topaz, February or Amethyst, May or Emerald, February or Amethyst, October or Opal and July or Ruby. 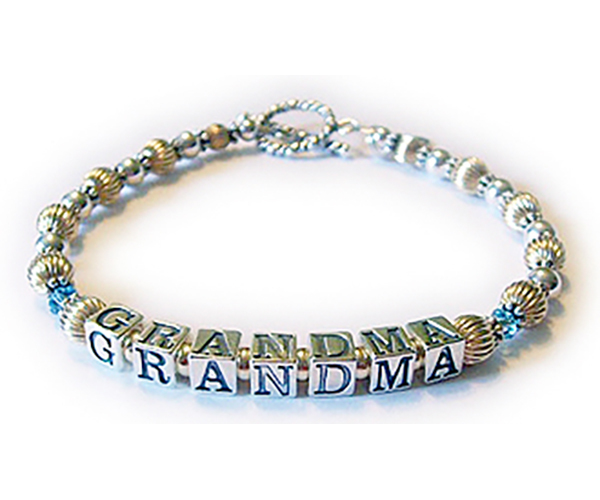 Grandma has 1 grandchild right now so they put a March or Aquamarine Swarovski crystal on both sides of GRANDMA. 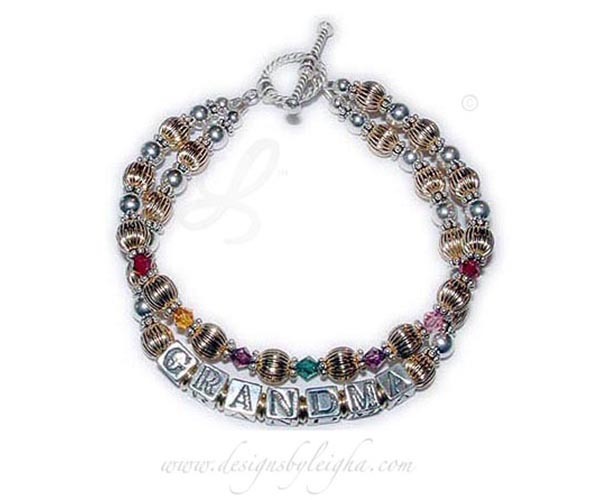 Grandma could have up to 10 crystals / grandkids on this one string bracelet. Shown with one of my free twisted toggle clasps. Grandma has 7 grandkids. So I put GRANDMA on one string and added 7 birthstones on the second string: July or Ruby, November or Golden Topaz, February or Amethyst, May or Emerald, February or Amethyst, October or Opal and July or Ruby. Grandma has 10 grandkids. I put a stone for each one in the order of their birth: March or Aquamarine, June or Pearl, January or Garnet, February or Amethyst, April or Diamond, September or Sapphire, August or Peridot, July or Ruby, December or Blue Topaz and April or Diamond Swaorvski Crystals. This was a beautiful baby gift for Mommy! They put the new baby's name on the first string and her birthdate on the second string. 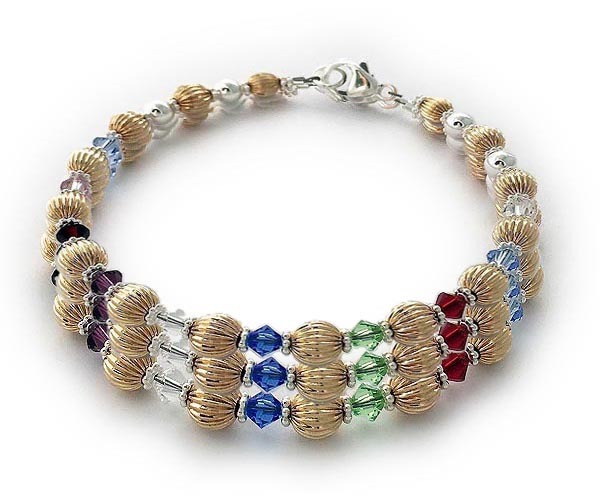 This is the first bracelet I made for myself. 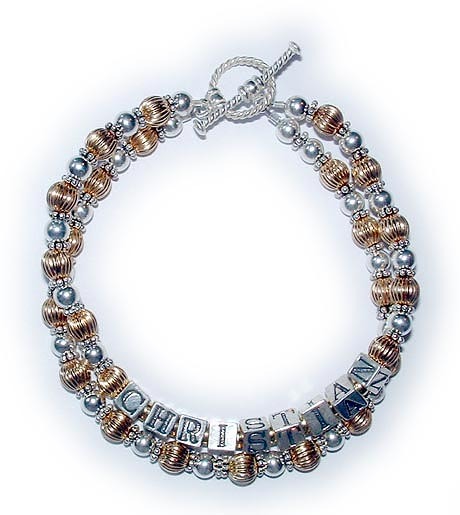 It has my son's name CHRISTIAN on one string and no names or crystals on the second string. 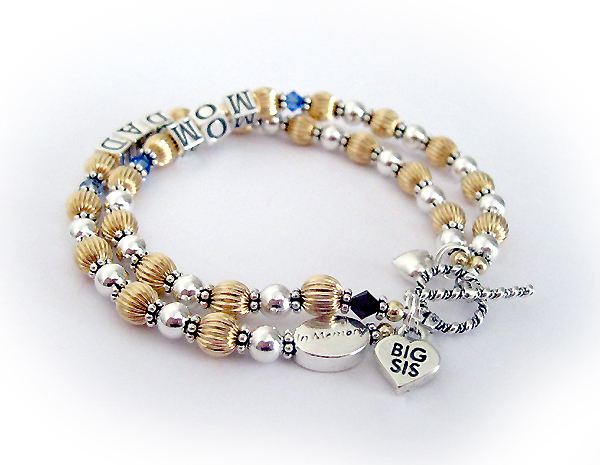 This bracelet was for a Big Sister that lost her parents. 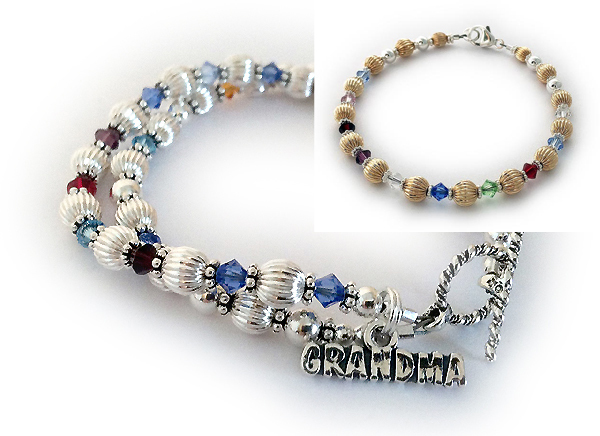 They added an IN MEMORY bead and put MOM and DAD's birthstones before and after MOM and DAD. They also add a BIG SIS charm, Puffed Heart Charm and a birthstone crystal next to the BIG SIS charm.